With Jump Festa 2014 less than a week away, it’s only fitting that a piece of Kingdom Hearts news would appear just before the event. Square Enix has put up a page for their official Jump Festa 2014 line up and Kingdom Hearts HD 2.5 Remix has been confirmed to be there. 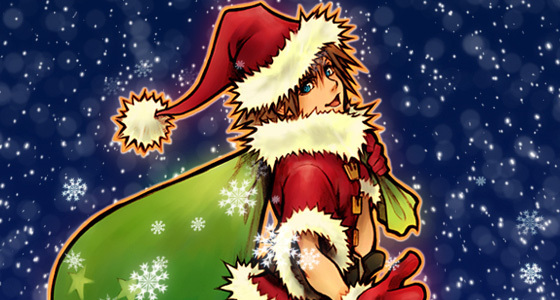 There are two pretty hot Kingdom Hearts ideas for Christmas we’ve come across recently. These will appeal respectively to taste buds and to the brain, so you’ll have something for everybody you know! The common link is love for Kingdom Hearts, so you can of course combine these two and add your own enhancements, too.